Organisations have started to realise that creating a gender balanced organisation and achieve gender diversity requires more than a mission statement and some well-meaning initiatives aimed at fixing women. Gender diversity initiatives – which actually work? There are so many initiatives, but where to start, and which actually work for your organisation? 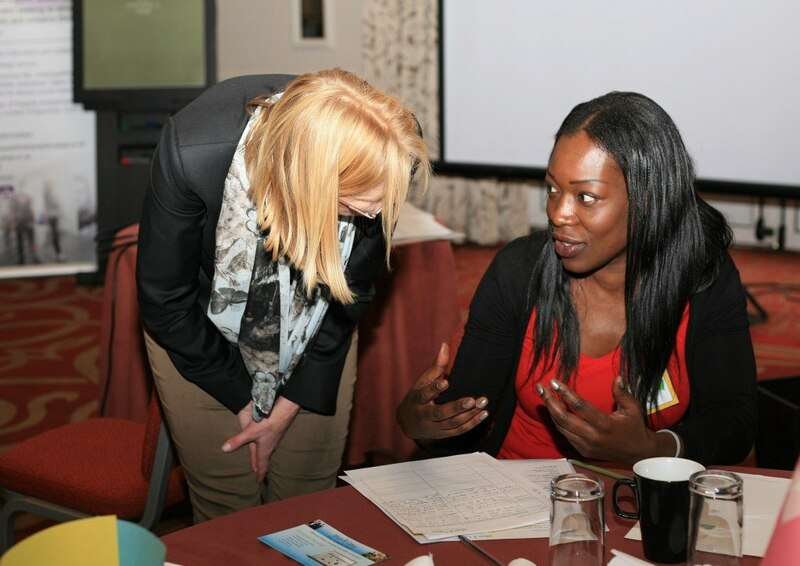 Is it unconscious bias, mentoring or a women’s network? How to connect these initiatives and which one of those will have maximum impact? Once you have started, how to continue and how to keep momentum? Unfortunately there is no ‘silver bullet’ initiative. Organisations that have achieved real results have taken an organisational change approach. It’s about getting the top team on board, changing culture, policies and systems, connecting to organisational strategy, creating shared values, measuring and developing the right skills of the senior team, managers and women so an organisation emerges that works for both men and women. 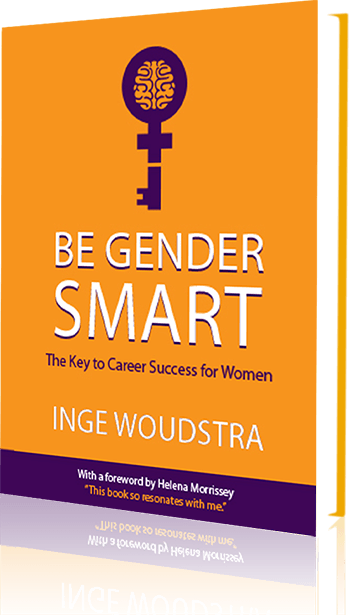 Based on my expertise on gender difference – and of course experience with implementing change – I can help you shape a Gender Smart organisation; a workplace that works for men and women. A workplace where gender differences are understood and taken into account into all aspects of the organisation, including managing teams, work culture, reward systems and succession planning. Moreover a workplace where what women bring is leveraged, and specific female values and ways of working are contributing to an organisation that is equipped for the future. Increased female management pipeline; retention and attrition of women, thus saving recruitment and re-training costs and preventing loss of talent and know how. Recruitment of diverse top talent; leading to a better capability of designing and marketing for diverse client groups, increased innovation and better performance. Increased engagement and as a result improved productivity and organisational performance. 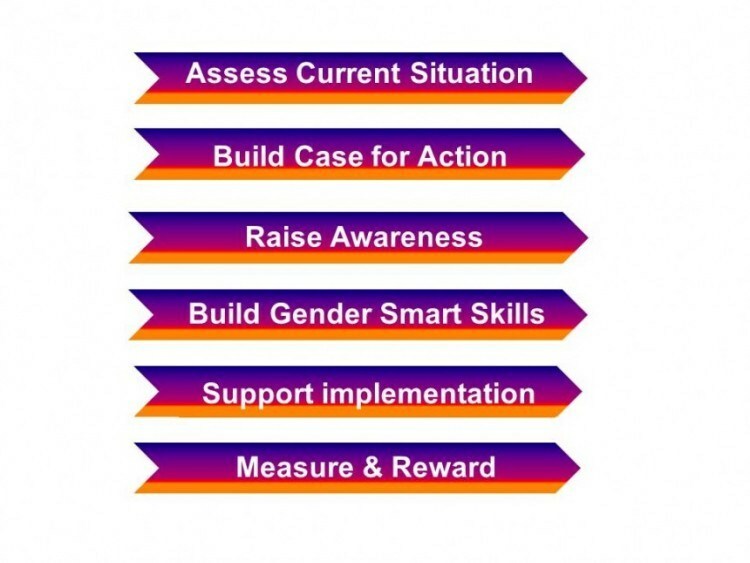 W2O can help you at each of the steps on the path to a Gender Smart organisation. W2O works in partnership with you, and we are at our best when we can adapt our way of working to your needs. You decide the amount and type of advice and support that you like. gives you a check so you know you are on the right track, and have all bases covered. We run a particular initiative or set of initiatives for you, and you run the overall programme and other initiatives yourself, or with help of other external experts. We take it all out of your hands, and do it for you, according to your requirements so we deliver what you need, with a minimum amount of time and input needed from you.